As previously discussed, with S-209 in place all AMMA is illegal by default in Canada. Provinces must designate the sport to make it lawful. 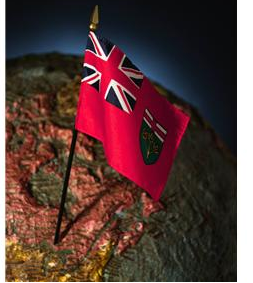 Ontario has no such framework. Ontario has passed the Athletics Control Act which sets out a framework to regulate a “professional contest or exhibition“. Interestingly,the Ontario Regulation passed pursuant to the ACA states that “Mixed martial arts are designated as a professional sport for the purpose of the definition of “professional contest or exhibition” in section 1 of the Act.” This language appears to make all MMA events ‘professional‘ subject to Athletics Commissioner licencing but the Athletics Commissioner does not see it that way. If you seek a licence from the AC for an amateur event you will be turned down. Limits on the Athletic Commissioner’s jurisdiction has also been judicially canvassed confirming it does not extend to amateur events. Given the AC’s position that they do not regulate AMMA you have to look at the amateur legislative framework. This is where the landscape is barren. There is no statute or regulation designating a list of permitted amateur combat sports in Ontario. While it is true that the Ministry of Tourism, Culture and Sport (MTCS) “recognizes” Provincial Sport Organizations (PSO) which handle the day-to-day oversight of the various sports, such as Kickboxing Ontario, this is not done with a top-down framework in place to bring such a PSO sanctioned event in compliance with S-209. The MTCS does not regulate AMMA. There are no government approved licences for AMMA in Ontario. There are no prescribed organizations with lawful authority to make an AMMA event legal. Hosting an AMMA event with Kickboxing Ontario’s oversight is no more in compliance with section 83 of the Criminal Code than an event without their permission. A PSO that is ‘recognized’ by the MTCS is basically in a position to receive MTCS funding . MTCS recognition does little more than this and does nothing to legalize an event. So where does this leave a promoter? Either you can host an event knowing it is illegal and hope a prosecution is not pursued or you can cease all activity. The best course of action is to actively lobby the Ontario government to fix this legal gap and create a framework to allow the proper regulation of AMMA on a Province wide basis. Keeping the status quo is not an option for any stakeholder in the Canadian MMA community. Challenging A Licensed MMA Referee: Can Judicial Review Provide a Remedy?